For a city bearing the lofty monikers of IT capital and startup hub, Bengaluru's cybercrime-fighting abilities are rudimentary. The police is finally stepping up its act, beginning with a larger, dedicated unit fully equipped to investigate all kinds of cybercrimes. About 40 policemen deployed to this new cell will be trained to deal with complex technology-related crimes. Functioning under the city police's Central Crime Branch (CCB), it will start registering cases next month. “We will provide them all facilities, including special equipment and specialists to deal with IT related cases," city police commissioner Praveen Sood said. “If the staff wants more help, they can approach the CID police but we want the city police to be expert in handling all types of IT-related frauds." That would be a significant stepup from the present capabilities. The existing cybercrime cell was established within the city police commissioner's office on October 2015 but is monitored by the Criminal Investigation Department. It is staffed by two inspectors deployed from the CID and one sub-inspector and three constables from the city police wing. Its remit is restricted to registering complaints of credit and debit card misuse if the fraud amount exceeds Rs. 5 lakh and cases of fraudulent money transfers if the amount exceeds Rs. 50 lakh. “IT crime is very specialised. Most of the police officers do not have knowledge about it. 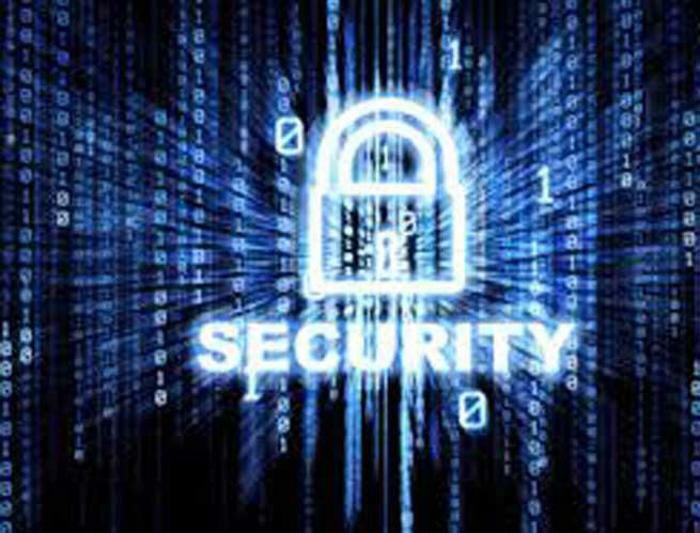 They require analytical prowess, training and equipment to solve cybercrime cases," Sood said. So “we requested the state government to set up a separate cybercrime police station under the Central Crime Branch to deal with all types of IT-related crimes." In the 15 months since it was estab lished, the present cybercrime police station has registered 65 cases--20 in 2015 and the balance 45 last year--most of these related to debit and credit card fraud and derogatory statements on social media. The CID headquarters, on the other hand, registered 80 cybercrime cases last year. “Since the manpower is very less in the existing police station, we could not handle all kinds of cases," said Krishnappa, an inspector in the present cybercrime police station. Officials at the 2017 Super Bowl in Houston plan to avoid making the same mistake that 2016 Super Bowl officials did by minimizing police presence and increasing surveillance. In 2016, San Francisco police at Levi’s Stadium donned military and tactical gear with advanced weapons. This backfired when many attendees took selfies with the heavily armed law enforcement officers, which ultimately distracted them from watching over the crowds. The police had to tell tourists to stop taking photos with the officers. The Department of Homeland Security (DHS) classifies the Super Bowl as a Special Event Assignment Rating (SEAR) 1 because of the number of attendees and media coverage, which makes it vulnerable to a terrorist attack. Local law enforcement is working with the FBI and DHS to secure the stadium this year. About 1 million people are expected to flock to Houston for 10 days of Super Bowl-related activities and more than 100 million people are expected to watch the Feb. 5 game on television. Officials have been working for more than a year to perfect a surveillance-based approach, more sophisticated than in past years, that includes surveillance cameras, overhead helicopters, and Houston police, who will mostly be in their standard blue uniforms. In the past, law enforcement and data analysis companies have surveyed large crowds at events by using cameras to pan the crowd, identify faces of individuals, find them on social media, and scan for code words like “help” or “bomb” in order to find possible threats to the venue. 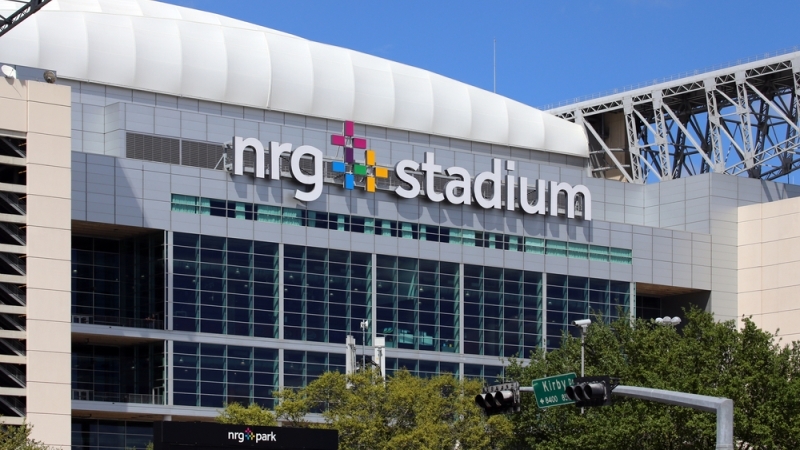 A Houston-based network infrastructure company, Pexx, announced recently that it provided multiple video surveillance packages to the Houston Police Department in order to secure the Super Bowl. The package was specifically designed for the event and installed by Pexx employees. “These custom packages are mounted in special weathertight boxes to facilitate rapid relocation and installation at special events such as the Super Bowl and can be easily broken down and moved to other locations as required,” said Jennifer Greene, president of Pexx. 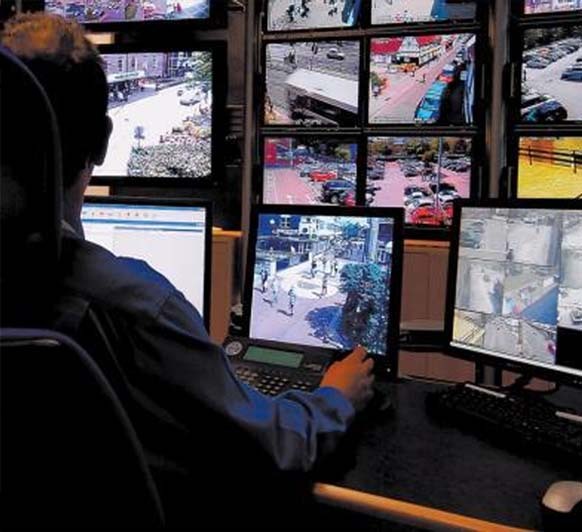 The surveillance equipment is capable of capturing high-quality, remotely controlled video and allows the user to upgrade the system to include additional alarms and sensors. The cameras can be viewed from any location on a worldwide network, according to Greene. Similar technology was used in 2013: After the Boston Marathon bombing, the city of Boston partnered with IBM to test an event monitoring program, similar to what Houston officials could use during the Super Bowl. Margaret Hu is an associate professor of law at the Washington and Lee University School of Law who has studied the surveillance techniques used by IBM at Boston Calling. “Situational awareness programs like the one used at the Boston Calling concerts demonstrate that the technological capabilities for using biometric capture and recognition software in real time are expanding significantly. These programs are highly experimental and the efficacy and accuracy of such systems is still unknown,” wrote Hu, in a chapter titled “Biometric Surveillance and Big Data,” in The Cambridge Handbook on Surveillance Law, which is due to be published this year by the Cambridge University Press. This type of data collection that uses an identity anchor, such as a person’s face, can go even further in finding data on individuals by linking them to Internet activities, consumer habits, phone records, and DMV records. This type of biometric identity measure is only as reliable as the people conducting the searches and making decisions based on the data they find. “Biometric data is evolving into a data surveillance axis by tethering a person’s physical identity to algorithmic-driven biographical and behavioral data analysis that can be deployed to assess future risk and to isolate data deemed suspicious,” wrote Hu. ISLAMABAD: A Directorate of Training headed by an officer of the rank of Deputy Inspector General of Police was established in Central Police to supervise the training affairs. 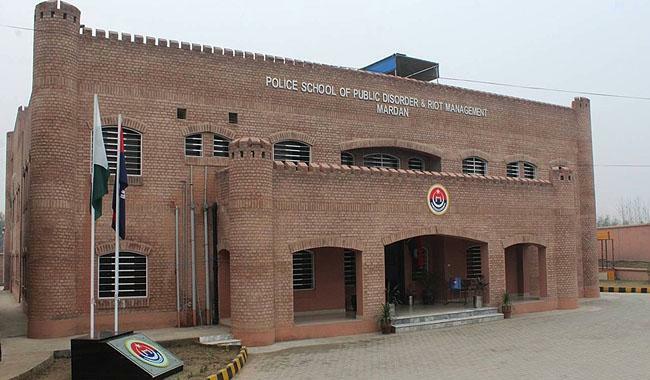 To impart training of different modules, six specialised schools have been established in two years and these training schools include Police School of Intelligence; Police School of Public Disorder Management; Police School of Tactics; Police School of Explosive Handling; and Police School of Information Technology. Promotion from one rank to another has been linked with successful completion of prescribed specialised trainings. These courses which were hitherto non-existent are now mandatory for every officer and advanced course for promotion of the rank of DSP and junior commission course for promotion to the rank of SP have been introduced in collaboration with Provincial Public Service Academy. The recruits at Police Training Schools receive training in swimming, martial arts, un-armed combat, rescue operations in natural calamities, stop and search operation. Along with operational training tactics, special attention has been focused on investigative skills. Police School of Investigation imparts recruits and officers with training in crime scene investigation course, cellular forensic course, case file management course, hot spot policing course, IT based skills investigation course, DNA, and medico-legal report analysis course. 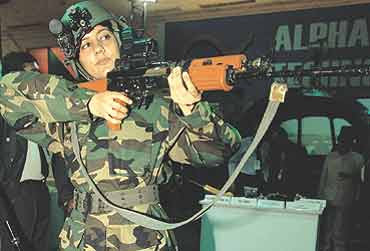 KP police is the first police force in the country, which has a dedicated Elite Trained Women Commando Unit. The success of every reform initiative is contingent upon its sustainability, supervision, and ability to evolve. To streamline Intelligence–based policing, modern day technique of intelligence collection through both human and technological means, KPK Police is providing training to enable officers to conduct undercover operations and ground check and to train police officers in modern intelligence and surveillance techniques. To enable officers to establish information nets in the area of responsibility, to facilitate continuous flow of information and intelligence. KPK Police adopted various IT oriented initiatives, which include digitalization of FIR, Incorporation of CNIC and Cell number of the accused and the complainant in the FIRs. Criminal Record Verification System, Identity Verification System, Vehicle Verification System, Geo-Tagged Crime Scene and Hot-Spot Policing. MoUs to extended cooperation in police training were signed by KP police with GI Khan University of Science and Technology, Sarhad University of Science and Technology, Peshawar; Preston University, Kohart; University of Peshawar; Khan Abdul Wali Khan University, Mardan; Khyber Medical College, Peshawar; Saidu Sharif Medical College, Swat. In contrast to 2014, a 56 percent decrease in incidents of terrorism in KP was witnessed and the year 2015 proved to be most successful as the number of terrorists attacks was the lowest then during the past six years. At the second meeting of the Public Safety Review Board on December 13, members reviewed and approved the University policies and procedures with regard to the issuance of firearms to Department of Public Safety (DPS) officers. The minutes from the first and second meetings can be viewed at the Public Safety Review Board’s website. As part of the implementation of the 2016 Security Commission Report recommendations, effective January 3, the chief, deputy chief, and commander of investigations in DPS now each carry an issued firearm while on duty on the University’s campuses. Additionally, two DPS lieutenants in their capacity as senior firearms instructors have been issued firearms. All of these five leaders have completed the required training outlined in the Security Commission Report. Moving forward, effective February 6, 30 newly trained DPS officers will carry a firearm while on duty at the University’s Medical Center. These 30 sworn officers—representing about one-quarter of Public Safety’s total force—will be divided among the patrol and supervisory shifts at the Medical Center to address any safety concerns on a 24-hours-a-day, seven-days-a-week basis, especially within the hospital’s emergency department. These officers have completed required background and psychological evaluations. They also have undergone extensive law enforcement firearms safety and proficiency training and will attend ongoing competency testing. 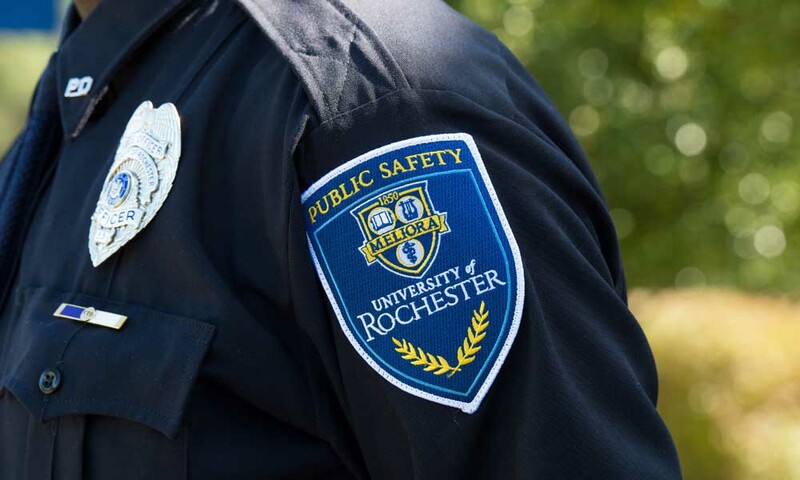 Throughout the year, the Public Safety Review Board will continue its oversight of the University’s armed officer program. In September 2012, Forbes published a lengthy feature heralding Brazil’s arrival as “one of the most entrepreneurial countries in the world.” At the time, the South American giant had been powering through a global recession, with growth rates that drew the envy even of its surging companions in the emerging-market bloc. Roughly 25 percent of Brazil’s workforce was self-employed in some capacity, and small businesses were accounting for two-thirds of private sector job creation in a rapidly diversifying economy that had already produced record reductions in poverty and unemployment. This was a cause of tremendous enthusiasm, and Forbes was far from the only one to take notice. The details of Brazil’s decline from that high-water mark have been recounted many times in the last four years. Political corruption, fiscal mismanagement, falling commodity prices and stagnation in China converged to bring about a dramatic reversal. Overnight, Brazil went from historic boom to the country’s worst economic crisis in decades. With so much negative attention on Brazil’s many and serious problems, it’s easy to overlook a counterintuitive truth about the country’s burgeoning startup scene: The overall outlook has not changed. With more than 200 million people, Brazil is still the most populous country in South America, as well as its largest market. Internet penetration and use are still high — Brazil trails only the United States in total Facebook, Twitter and YouTube users — and the country still has more mobile devices than human inhabitants. The only Portuguese-speaking country in Latin America, Brazil is still uniquely positioned to capitalize on regional markets and is artificially devoid of international competition. But big impediments remain. Economic downturn has done nothing to diminish the notorious labyrinths of red tape Brazil’s indecipherable bureaucracy erects around even the most straightforward certifications, transactions and licensing processes. At 14.25 percent, interest rates are high for the returns your average Silicon Valley VC fund could expect to see on a given portfolio, rendering entrepreneurship needlessly risky for many investors who might otherwise be interested in backing promising businesses. Antiquated labor laws and tax codes, crumbling or non-existent roads and an overburdened university system are just some of the longstanding barriers entrepreneurs continue to face in the country. Yet Brazilians are famous for innovating around inefficiencies, and their own attitudes tell a different story than the dire headlines of the business press. Fundacity — a network for startups and investors — has found that education and healthcare, two of Brazil’s most chronically troubled sectors, are precisely the areas investors are most keen on. With the national mood plunging toward despair in the first semester of 2015, Brazilian accelerators, VC funds and angel networks nevertheless backed at least 195 startups between them. Those combined investments accounted for just under 7 percent of the total capital taken in by startups that semester, which suggests something else about Brazilian entrepreneurialism foreign observers would do well to make note of: the potential remains enormous. Much needs to happen before that potential can be realized, but as Juliana Vasconcelos, from Brazil’s government investment agency Apex, put it at the Venture Capital in Brazil Forum in Menlo Park this past September, “crisis creates opportunity.” There’s as much, if not more, reason to take stock of the Brazilian startup economy now as there was in 2012, when the country was at its most ascendant. The story of Brazil’s startup scene starts long before those of most of its South American counterparts. TOTVS was founded in 1983 and has been a constant presence in the national ecosystem ever since. Today it supplies business software to around 60 percent of Brazil’s small and medium-sized businesses, making it by far the most successful Brazilian tech company, and the country’s 22nd most valuable brand overall. The largest software company in South America — the company now boasts 26,000 active users and 10,000 employees — TOTVS also claims to be the only one with a proprietary software development platform. 1983 was also the year that the Brazilian government, still operating under military rule at the time, created the Associação Brasileira de Private Equity & Venture Capital (ABVCAP). Other government initiatives to foment entrepreneurship have fizzled out, but ABVCAP is still active, organizing networking and promotional events like the annual Brazil Breakfast, set to take place in New York in late September, and Brazilian Venture Capital Conference, set to take place in São Paolo in late October. It took many years for the private sector to start developing a significant venture capital presence of its own. But in 2000, Inseed Investments, Inventta consultancy, Tropos Lab and a biotech firm called Ecovec came together to form the Instituto Inovação Group, the foremost business generator in Brazilian innovation. By 2002, the local scene had developed to the point that the outside world was looking to get involved. Google picked São Paulo for the site of its first Latin America office, a decision vindicated in the steady stream of talent that continues to flow through its doors from across the region. Three years later, TOTVS went public on the New Market of the Stock Exchange of São Paolo, becoming the first Latin American IT company to IPO. Brazil’s first major acquisition followed soon after, in 2006, when a South African conglomerate purchased a 91 percent stake in Buscapé, a compare-and-shop e-commerce site. At $374 million, the exit, still one of the country’s largest, helped encourage further investment in the market. In 2009, Cassio Spina, an entrepreneur, founded Anjos do Brasil, a nonprofit angel network dedicated to keeping the trend going. In 2011, Redpoint Ventures, a California-based VC fund, and e.ventures raised $130 million to invest in early-stage Brazilian companies. Brazilians have long since identified the issues that need to be addressed in order for the country to make the next step as a driver of innovation. The 2012 Forbes article came out as the Brazilian startup scene seemed poised to make a major leap. In 2014, the transport app Easy Taxi raised $40 million in Series D funding — from Phenomen Venture and Tengelmann Ventures, among others — for an expansion into Latin America and Asia. Based on the innovative model from Start-Up Chile, Start-Up Brasil launched later that year, with a mandate to attract foreign entrepreneurs to the local consumer market and foment domestic entrepreneurial culture. Backed by $78 million from the government, it was meant to be the culmination all the momentum Brazil had been building. Within two years, of course, that momentum would be largely gone, and Start-Up Brasil along with it. But measured against the collapsing expectations, the Brazilian startup scene performed impressively. In the past year, Google’s Brazilian campus — Google São Paulo — announced its first batch of resident startups. YouTube Gaming and Instagram for Business have both planted flags in the country. An array of national businesses have completed impressive fundraisers, from the pet-sitting marketplace DogHero ($3.1 million) to the B2B sales software firm Exact Sales ($1.2 million). Depending on who you ask, São Paulo is either what would happen if New York threw up on Los Angeles, or what would happen if Los Angeles threw up on New York. Either way, it’s big. How big? If it were it’s own country, São Paulo would be the eighth largest in South America. From above, the city seems to sprawl out and up at once. The other part of that analogy is money. São Paulo is not just the financial capital of Brazil, it’s also its primary center of commerce, fashion, food, music, industry and sport. As goods and services replace factories as the core of its economy, São Paulo is expected to leap from the tenth to sixth largest urban GDP in the world. Foreign businesses go there when they want to open shop in Brazil. Brazilian businesses go there when they want to project themselves on the national scale or abroad. It should come as no surprise that São Paulo is by far the most mature startup scene in Brazil. Even entrepreneurs from rival cities will tell you that the majority of Brazil’s startups are concentrated in the city. Transitive talent is one of the main advantages São Paulo has in that respect. Established tech companies like Google, Uber and Airbnb, to say nothing of established corporations in general, have their Brazilian headquarters in the city, and when employees get bored or inspiration strikes, they often leave to start companies of their own. By the same token, entrepreneurs looking to recruit experienced teams have no shortage of options from which to choose. The largest startups in the country, such as real estate startup VivaReal, which has raised approximately $75 million to date, are based in the city. São Paulo is by far the most mature startup scene in Brazil. The companies themselves get involved, too, whether through patronizing events or providing a steady demand for B2B innovation. The largest and second largest private banks in the country have both set up entire divisions to interact with São Paulo’s thriving fintech subsector. Visa and IBM are major sponsors of Startup Farm, a leading accelerator with more than $100 million invested in upwards of 200 startups. Brands as varied as Embraco, a refrigeration technology and production company, and Natura, a cosmetics label, have created similar programs to invest in startups operating in their respective spaces. Impact-accelerators such as Artemisia and the nonprofit Endeavor play important roles in the ecosystem. But the São Paolo startup culture also gets by just fine on its own. Together, co-working spaces like CUBO, plug.co and Impact Hub; accelerators like ACE, which has modeled itself as a growth-oriented version of Y Combinator; investment firms like Monashees, Kaszek Ventures, DGF, Redpoint eVentures, SP Ventures, Antera, 500 Startups, BBI Financial, and Bonanza Investments; and government-led initiatives like Innovatech, which provides online mentorship to around 300 startups, and SEBRAE, which focuses on small business more generally, form a well-rounded, autonomous ecosystem that maintains a surprising level of cohesion, in spite of the sheer size of the city. Organizers launched the inaugural CASE conference at a time when most of the national economy was in belt-tightening mode. This fall, they expect 8,000 entrepreneurs from 2,000 startups to attend. Leaders in the São Paolo’s ecosystem include David Velez of NuBank, Brian Requarth of Viva Real, Fabricio Bloisi of Movile, Paulo Veras of 99 Taxis, Jorge Pacheco of Plug, Guilherme Junqueira of Gama Academy, Flavio Pripas of CUBO, Romero Rodriguez of Redpoint, Ana Fontes of RME, angel investor Silvia Valadares, Tony Celestino of UpGlobal, André Barrence of Google Campus, João Kepler of Bossa Nova Investments, Felipe Matos of Startup Farm, Carolina Morandini of Wayra and Michel Porcino from the São Paolo Mayor’s Office. It’s rare that you can trace the origins of a given startup scene with such precision, but the chosen moniker for Belo Horizonte gives it all away. Aside from the usual play on the northern California tech-mecca, “San Pedro Valley” draws its name from the São Pedro, the neighborhood that birthed many of Belo Horizonte’s first and most successful startups. What set this core, pioneering group of entrepreneurs apart was not just their businesses but their commitment to giving back, in ways both concrete and abstract, to build a real ecosystem. Principal among these efforts has been the Brazilian Startup Association, a unique entity started by Gustavo Caetano — the CEO of Samba Tech, the online video platform that recently added to its regional holdings with a new satellite location in Seattle, its second in the United States — and three other local leaders. Conceived as a facilitator of intra-entrepreneurial exchange and a lobby group advocating on behalf of forward-thinking startup policy in Brazil, the association has grown to include more than 4,000 member startups and 38,000 entrepreneurs throughout the country. Other important community spaces include Hora Extra BH, a regular meetup, Coolwork, a coworking office and Aceleradora, an accelerator. Google has its national R&D office in the city, and in 2012, the city government inaugurated BH-tec, a digital park that caters to entrepreneurs in particular. Another government program, Minas Digital, an offshoot of the state Ministry of Technology, aims to have supported 100,000 local entrepreneurs by 2025. Toward that goal, it sponsored Belo Horizonte’s first StartupWeek last year, which featured more than 70 events across the city. Additional leaders in the city include Rodrigo Cartacho of Sympla, João Resende of Hotmart, Mateus Lana of SmarttBot and Roberta Vasconcellos of BeerOrCoffee. Integral to the city’s startup culture is its large student population. With four top universities, including Minas Gerais Federal University, one of Brazil’s most dependable sources of IT talent, Belo Horizonte has the feel and energy of a college town, but the size and ceiling of a major urban hub. Lots of ambitious young people still leave for São Paulo, lured either by job or fundraising prospects. But in the near future, it’s easy to envision a reverse on the brain drain. Belo Horizonte is cheaper, friendlier and less inundated with traffic. Basically, it’s in many respects a nicer place to live, and plenty of businesses are finding it a prosperous place to put down roots, as well. As far as living conditions go, you won’t find a better place in Brazil, or anywhere else for that matter, than Rio de Janeiro. The stark, granite cliffs, lush jungle canopy and picturesque beaches get plenty of attention as is, but there’s still something to be said for having the option to brainstorm at a café overlooking the ocean or team-build during a hike into the mountains. Regular events like FuckUp Nights, Geeks on Beer, Circuito Startup and Rio Info have learned to take advantage of the city’s stunning landscape and vibrant cultural offerings. A fairly comprehensive list of activities can be found on Startup Digest. For better or for worse, the city’s transformation in recent years has been specifically directed toward creating a more attractive environment for a young, cosmopolitan professional class. Government programs to improve security, 4G connectivity and transportation have in turn encouraged major private investments in the tech sector. Cisco, in conjunction with local authorities, is devoting $500 million to a project that includes a venture capital fund and co-development facilities. Located in the heart of downtown revitalization, NEX has become the largest co-working space in all of Latin America. 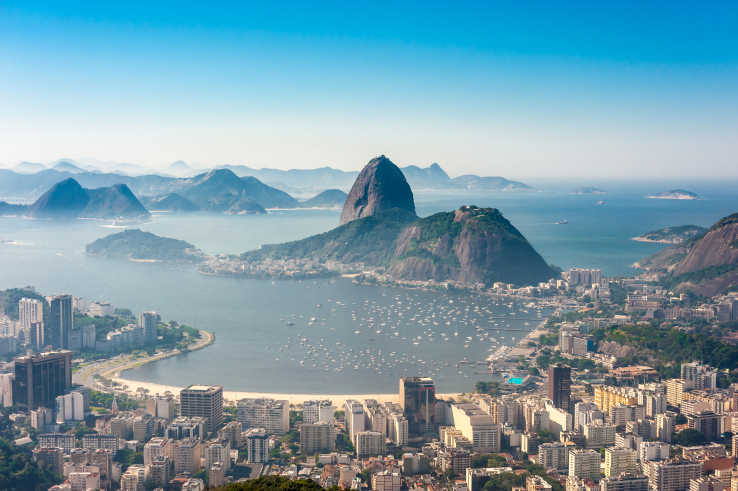 Rio isn’t the only beachside tourist hotspot at the forefront of the Brazilian startup scene. In light of the city government’s emphasis on attracting foreign investment and tourism, it’s encouraging to see entrepreneurs use tech innovation — the area for which Rio’s startup scene is best known — to address lingering social issues. Founded in 2011 by Leonardo Eloi and others, Meu Rio (My Rio) is a digital civic engagement platform that sends alerts and facilitates a wide-ranging political discourse between diverse sectors of society. In a city where police violence has long led to distrust among the general population, the Igarape Institute has worked to develop “smart policing” mobile technologies to improve transparency. And, like a localized, family oriented Groupon, Clubinho de Ofertas offers mothers affordable shopping and activity options. Cariocas, Rio’s largest startup group that counts several hundred members, hosts regular events and today is led by a group of entrepreneurs, including Danilo Neves de Martins and Ricardo Motta of Hostintown. Investors in the city include Acrux Capital, ArpexCapital and Valor Capital, which play an important role alongside organizations such as Startup Rio and FAPERJ. Additional leaders in Rio include Gabriel Gaspar of Nibo, Gustavo Mota of We Do Logos, Ricardo Barros of The Pareto Group, Bernard De Luna of 3Days and Rodrigo Salvador of Passei Direto. But Rio isn’t the only beachside tourist hotspot at the forefront of the Brazilian startup scene. Florianópolis has made a big play to assert itself in the tech economy, and, in recent years, it’s payed off. According to the state government, 600 companies now contribute to a robust startup sector that has grown an average of 15 percent year-over-year to represent $350 million in annual GDP for the city. Local leaders such as Eduardo Mattos of SmartMob Coworking and Eric Santos of Resultados Digitais play an important role in this growth. Earlier this year, 100 Open Startups named 10 companies from Florianópolis in its top-100 list, running the gamut from a solar energy startup (Soluz Energia) to a visual recognition software company (Meerkat) to an information platform for surfers (Opifex). Some people already put Florianópolis ahead of Rio in terms of ecosystem maturity. But if it’s not there already, then ongoing investments intended to consolidate a tech infrastructure that already includes two cyber parks — Alfa and Sapiens Parque — and the skeleton of an “innovation route” along one of the city’s major thoroughfares may soon push Florianópolis over the threshold. Why have some of Silicon Valley's top investors started investing in Latin America? The good news is that Brazilians have long since identified the issues that need to be addressed in order for the country to make the next step as a driver of innovation. According to the World Bank Group, it takes 83.6 days and 4.3 percent of income per capita simply to start a new business. Closing an old one can often be even harder. Labor laws don’t allow for the types of remuneration structures many startups like to rely on, and companies trying to maintain a lean workforce waste precious time and resources navigating the country’s antiquated tax code. None of this would strike anyone who has done even minimal business in Brazil as novel information. The bad news is that there’s a reason the problems haven’t been fixed, despite universal recognition that they should be. In recent years especially, political infighting and communication breakdown has paralyzed the country, as documented by journalist Anna Heim. Whatever the arguments about the way that conflict was resolved, resolution at least holds the promise of action. President Michel Temer, controversial though he may be, has promised business-friendly reforms that could help unleash the immense latent potential of Brazil’s startup sector. In the meantime, there are things Brazil’s entrepreneurs can be doing themselves. As in most Latin American countries, Brazilian startups are often little more than mirror copies of models proven elsewhere. That’s fine for doing business on the national level, but if Brazilian startup culture is to project itself beyond its own borders, it needs to follow the example set by the many local entrepreneurs who have contributed genuinely new ideas to the marketplace. The number of business doing just that has ratcheted up with each passing year, and as the country as a whole starts to turn the corner on an economic slump, it’s only a matter of time before Forbes and company are once again writing features on the booming Brazilian startup scene. Army moves into Enterprise ..."we have the power of arrest"
And as the nation's military continues to play a more integrated role in law enforcement Smart says, however, “one of the big challenges” in giving military personnel who operate with the police in joint patrols powers of arrest similar to that of the police centres around whether the society wants to have the “Defence Force who is supposed to be your last resort quick response unit being tied down in court”. He made the comment in an exclusive interview with TV6 News which aired in three parts last week, as Prime Minster Dr Keith Rowley announced on Friday that Defence Force/Police joint patrols would form part of security arrangements for Carnival 2017. Rowley, who is also the Head of the National Security Council, spoke of the joint patrols in response to a question posed by the United National Congress (UNC) MP for Point-a-Pierre, Dr David Lee, about the specific plans if any the Government intends to implement to protect both local and foreign participants during this Carnival Season and beyond. In the TV6 News interview, Smart revealed a new joint operation that TV6 News understands was the initiative of National Security Minister Edmund Dillon. “Enterprise has been on fire for a while and while you're seeing now a simmering of the events we want to make sure that we have put a lid on that situation. So what we've done now. We have moved troops into a community, Lion's Gate community in Chaguanas with the aim of developing a similar type of model that we have used in Laventille with members of the Trindad and Tobago Police Service,” Smart said. He spoke with TV6 News in his office at the Defence Force Headquarters in Chaguaramas on January 6th. He said this is model is being replicated in other parts of the country in North and South Trinidad. Deploying soldiers to work alongside the police in joint patrols is nothing new and neither is the question of whether policing powers of arrest should be granted to military personnel who operate on those patrols. A police military or military supporting police? The People's Partnership administration sought to bring legislation to give soldiers on joint patrols with law enforcement policing powers of arrest. Asked if such legislation is something he thinks is needed to help put the Defence Force in a better place to assist law enforcement or you satisfied with the existing status quo where they support the police and the police make the arrests, Smart said, “In whichever of those two models you have described there are positives and there are negatives. Smart says the Coast Guard already has the power to detain people at sea but the issue of granting policing powers to the wider Defence Force must be a discussion for the Government and people of Trinidad and Tobago to have. “One of the positives is you have more people who can arrest. One of the things we must always remember when we're speaking about arresting powers as well, is to remember each citizen of Trinidad and Tobago, including members of the Defence Force, have the powers to arrest in serious arrestable offences. Each citizen has that power,” Smart said. He said this includes a citizen's power of arrest for crimes such as murder. Smart said if a citizen sees “somebody committing murder” the person can make a citizen's arrest. “The Defence Force can do that without any additional powers,” Smart said. He said what the society and the Government should consider carefully is what happens if the wider Defence Force is given additional powers to make arrests as the police do. “One of the big challenges you have is do you want to have your Defence Force who is supposed to be your last resort quick response unit being tied down in court because now you have to go to court, there are cases to be tried, etc, etc. When really what you want; you want your Defence Force to be doing is training and be prepared for those events that would challenge our society,” Smart said. “If you are going to permanently place soldiers on the streets in this country you in effect creating a state of emergency and you are not giving the soldiers the requisite powers to assist properly the police service,” Moonilal said. In February of last year, TV6 News spoke with Dillon about whether the administration plans to bring similar legislation to give soldiers policing powers. “No we're not looking at that at this point in time. The soldiers, the Defence Force, in particular they are in support of the police and we think that is working quite well,” Dillon said. TV6 News was informed by a high ranking Government source yesterday that there has been no change to this policy. The source said as the Government is monitoring the situation, it continues to be satisfied with the Defence Force/Police joint patrols as is. Is the Defence Force ready? The Defence Force, however, was not established for law enforcement. Smart was asked if the Defence Force was ready for its core mandate of defence given its well-integrated role with law enforcement. “Certainly, yes. The Defence Force will always be ready for defence. It means though we will have to work our troops harder. We have to find more creative ways in terms of employing them. The challenge that faces Trinidad, the immediate challenge because we always have to separate the threats that we face into immediate, long term, the immediate threat that faces Trinidad and Tobago seems to be crime and therefore the capabilities we have could be used to assist the Police Service and other law enforcement agencies in reducing crime,” Smart said. Section 3 (2) of the Criminal Law Act states “any person may arrest without warrant anyone who is, or whom he, with reasonable cause, suspects to be, in the act of committing an arrestable offence. Sixteen women of Bijapur district of Chattisgarh were raped and violated by the state’s police personnel in October, 2015. The National Human Rights Commission (NHRC) found that the rights of the victims were ‘grossly violated’ by the police for which Chattisgarh government is ‘vicariously liable’. Last week, video images were captured of Mumbai cops accepting bribes from relatives of inmates to let the relatives meet inmates showing the gory side of corruption in police and jail systems of India. From being the protector to becoming the perpetrator is downright assault on our democracy. Over the years, several cases of corruption and wrongdoings by police both in the jail and outside the jail have surfaced and made us question our law keepers. According to a study by Transparency International, 62 per cent of Indians admitted to paying bribe during 2012 - 2013. Another study by Janaagraha observes that the police in 6 metro cities accepted an estimated Rs 14.6 million in bribes for 7,170 reported cases of bribery in 2013. The organisation further estimated that a person in India pays around Rs 4 lakhs in bribes in his/her lifetime. Yet there is another side to the story. Nearly 90 per cent of the police staff currently works for more than eight hours a day and the staff works for more than 14 hours a day. Nearly half of the police personnel have reported that they are called eight to ten times a month during their off days. India’s current police to population ratio is 145 personnel per one lakh population, much below the UN prescribed ratio of 222 personnel per one lakh population. Corruption by police and in jails is a challenge globally. Interestingly, in abroad corruption in jails has been popularised by the spate of television dramas set in correctional facilities. According to a study in the United States, prison guards at Rikers Island in New York could substantially supplement their income by $400 - $900 (Rs 30,000 to Rs 60,000) a day by smuggling drugs, weapons and other contraband into prisons. Apart from financial bribes, it was found that sexual favours are also traded for better benefits. The problem is not limited to just officials accepting bribes in prison complexes in the US. There is a structural issue as most prisons in US are run by profit making corporations. Thus, in order to maintain their profits, many people are wrongly imprisoned or kept in prison to increase the bed count by these private organisations. According to a survey by Transparency International measuring perceptions of the extent of corruption in different Institutions in 107 countries, ranks police as the second most corrupt institution globally. This clearly indicates that the image of the law protectors around the world is severely scarred with suspicion. The Indian prime minister recently talked of promoting ‘SMART’ policing, the letters standing for strict or sensitive, modern or mobile, alert or accountable, reliable or responsive, and trained or techno-savvy. The challenge is that when you decide to change course it needs an action that is all encompassing. It requires hard clampdown on corruption but also needs the reform to treat policemen with the respect that they deserve. Not like a boys club that operates on internal abuse and coercion. The police is not the military which has a strict code of conduct and checks and balances. Unlike military, police is constantly exposed to civilians and thus it needs to function in collaboration with the city and it’s people. The police belongs to the community and should be one with the community. One needs to understand that policemen are not hired security guards. It is an institution that can help sustain democracy in its truest form. Proving yet again that smart policing makes a huge difference, the NYPD in 2016 delivered record lows in crime — continuing a decades-long local trend even as other major US cities lost ground. “Index crime” — the total number of incidents in seven major-offense categories — fell 4.1 percent, to a record low of 101,606. Of those categories, only felony assaults saw a slight rise, up 2 percent. 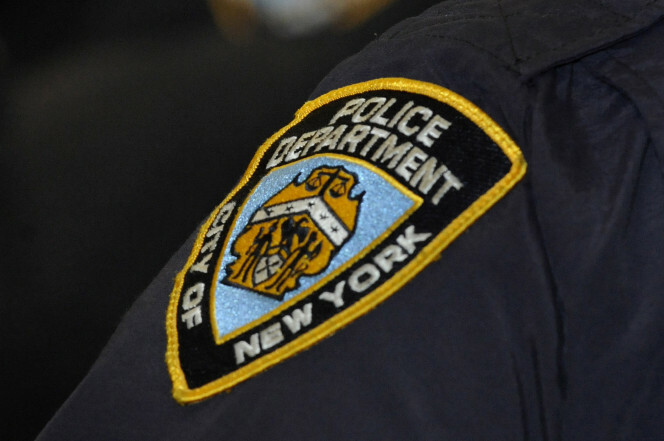 Every borough, and most precincts, saw index-crime drops. Most impressive: a 12 percent dip in shootings, putting the total at 998 — the first time it fell below 1,000 since the department started collecting stats in the early ’90s. Homicides also fell 4.8 percent — to 335, versus 352 in 2015 — a hair above the modern low of 333 in 2014. But this isn’t merely about numbers; it’s about lives saved, property protected — and giving New Yorkers the peace of mind to go about their daily lives, knowing they’re safe. This, when cities from Los Angeles to Philadelphia to Baltimore face major crime spikes. Chicago’s murder rate last year was six times New York’s. Behind the NYPD’s latest success is what Deputy Commissioner Dermot Shea terms a “confluence” of changes: better community engagement under new Commissioner James O’Neill’s “neighborhood policing” initiative, the hiring of 2,000 more cops and greater use of new technology. Thanks go to the leadership of former Commissioner Bill Bratton and O’Neill, and to the work of the entire force, from other top brass to every cop on the beat. And ex-Commissioner Ray Kelly, who in 2013 handed over the most professional force in NYPD history. And, yes, to Mayor de Blasio — who lets New York’s Finest continue to work miracles. For all his past stumbles, the history-making comes on his watch. Above all, kudos to the men and women in blue for a vital job well done. LONDON: Fridges, coffee makers, washing machines and lightbulbs could soon become vital witnesses in murder plots, according to a top Scotland Yard official. The "internet of things" -- in which everyday devices have network connections -- will create a new kind of crime-scene investigation, said Mark Stokes, Scotland Yard's head of digital forensics. Detectives are being trained to spot digital footprints that might track or record activities, providing a crucial insight into the last moments of a murder victim, evidence of false alibis or inconsistencies in witness statements. 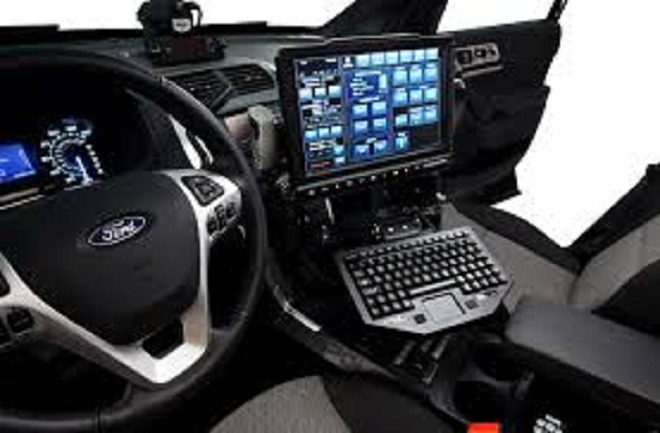 Stokes, who heads the digital, cyber and communications forensics unit at the Metropolitan police, said as household objects became "smart", with built-in microchips and processors, crime investigators would be looking for far more than fingerprints. He said that complicated devices would soon be commonplace in many homes. "The crime scene of tomorrow is going to be the internet of things," Stokes was quoted as saying by the Times. "A 3,000 pounds fridge with a built-in family hub in it will soon be 400 pounds," he said. The new Samsung Family Hub fridge has cameras that carry a live feed of its contents, as well as a screen and built-in shared calendars, music player and a connected app. Stokes said the dates and times logged on the machine, as well as images from the camera, could prove crucial in certain cases. "Wireless cameras within a device such as the fridge may record the movement of suspects and owners," Stokes said. "Doorbells that connect directly to apps on a user's phone can show who has rung the door and the owner or others may then remotely, if they choose to, give controlled access to the premises while away from the property. All these leave a log and a trace of activity," he said. Stokes said there were plans to develop a digital forensics kit allowing investigators to analyse microchips and download data at the scene, rather than taking multiple devices away. In the US, detectives want Amazon to hand over recordings from one of its Echo voice-controlled home entertainment systems. Amazon has twice declined requests for data from the device belonging to James Andrew Bates.